"The little crazy children are jangling the keys of the kingdom and common vengeance writes the law!" The play takes place in Salem, Massachusetts in 1692 and is a powerful account of the events surrounding the Salem Witch Trials a time when paranoia, hysteria, and deceit gripped the Puritan towns of New England. 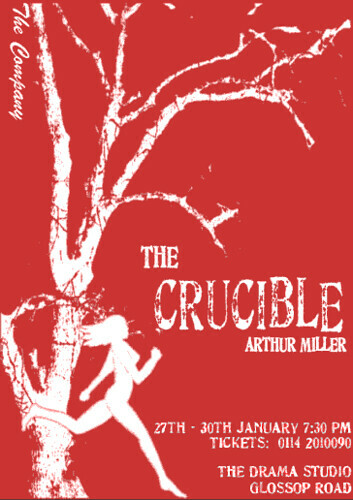 The production will run from Wednesday 27th to Saturday 30th January 2010 at the Drama Studio Glossop Road more information on the production. When thinking about cloud security, it's ultimately up to each individual organization and its leadership to determine if a cloud deployment is the right strategy.